Gotta love the US Postal Service. Our daughter ordered something on Amazon and it shipped USPS. 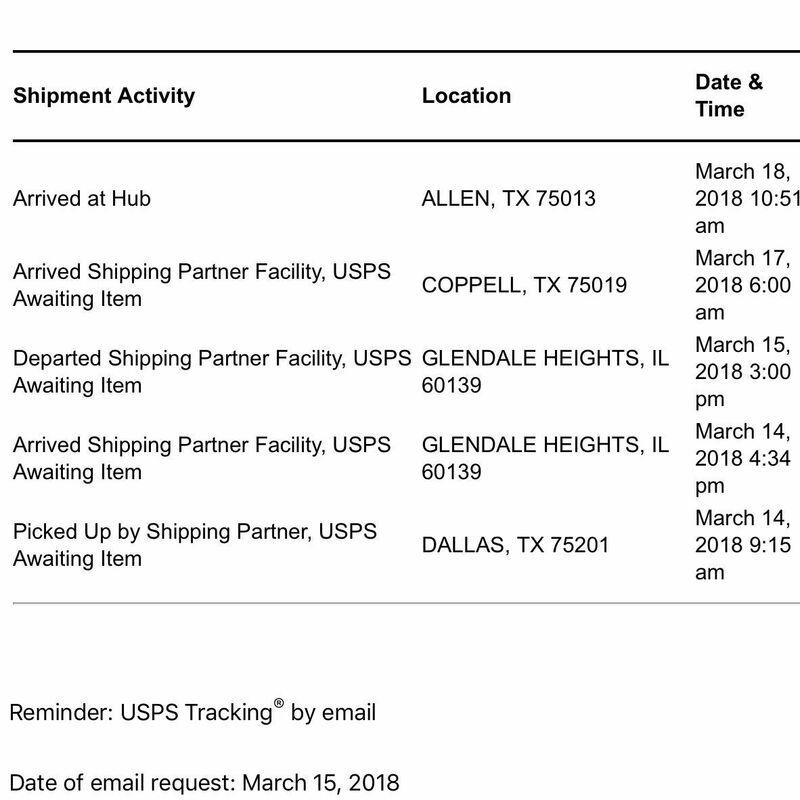 It went from Dallas, which is basically next door to us, to Illinois, then to Coppell which is at least back in Texas. And now is in Allen once again close to us.